I’m Pete, a passionate, patient, friendly, and experienced 28yo guitarist/singer/songwriter and teacher. I’ve been teaching guitar lessons for over ten years, and have always had a brilliant rapport with all my students. Since the middle of last year, I have been teaching at Leaders of rock, working closely alongside Justin Wong helping to grow our own little musical community and achieving excellent results already! 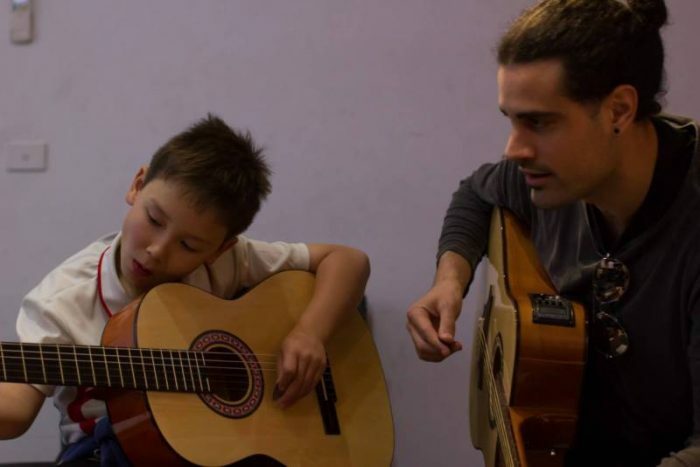 I specialise in teaching early aged beginner/intermediate students (aged around 5 – 12 years) though teens/adults and more experienced players are also welcome. Group lessons (I.e. Two or more siblings/friends wanting lessons) are also available. $30 for a 30 min lessons, $45 for a 45 min lesson or $60 for an hour. Location: private lessons are held in my home studio in Carlton but I am also open to travel, especially if you are in and in between the Kensington and Doncaster areas.